The vaping community is growing by the day. Studies show that most people taking up vaping are not doing so to quit traditional smoking but rather as a way to enhance their social image. However, there are also other reasons why the vaping wave is only getting bigger over time. Medicinal marijuana has been made legal in several countries. Medicinal marijuana is used for chemotherapy recovery, relieving chronic pain, and also treating migraines. However, most people opt to vape medicinal marijuana instead of smoking it — the reason why is because of the sweet flavors available with vaping. If you have never heard of cloud chasing, you can look up videos on YouTube to get an idea. Cloud chasing is a game wherein vaping fanatics take turns to puff out smoke in mind-blowing shapes. The vaping liquid is infused with colors that lead to thicker and more colorful smoke, to add more spice to the sport. It is still yet to be scientifically confirmed whether vaping can help one quit smoking altogether. However, many people struggling to stop the stick turn to vaping as they believe it is a safer and healthier way to get their nicotine dose. Research has shown that electronic cigarettes, otherwise known as e-cigs, pose less health consequences than traditional cigarettes. The reason being e-cigs do not have tar and other cancer-causing elements that are present in tobacco. 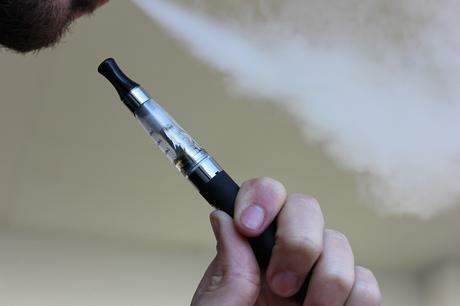 Vaping devices are filled up with e-liquids which are heated to produce vape. The e-liquids come in different flavors such as mint, fruity, or even chocolate. Ideally, there is a whole range of flavors out there which give you a chance to explore your taste buds. Some flavors, such as mint chocolate, have calming ingredients that leave you feeling relaxed. Many people like to be in control of what they are taking into their bodies. Unlike traditional smoking, vaping gives you the perfect platform to pick your favorite flavors. Additionally, you can choose whether you want nicotine in your e-liquid or not and at what concentration levels. The vaping community is growing by the day, and you won’t fail to notice various vaping forums on the interwebs. Herein, members discuss multiple issues regarding vaping ranging from the latest vaping devices to the e-liquid flavors available. Besides, vaping shops are also popping up in major towns, where you’ll catch vaping enthusiasts catching their smoke as they socialize. Many people are getting into vaping as a way to get some time to themselves, to unwind, and relax. The act of inhaling smoke and puffing it out is satisfying. Add on the full range of flavors, and you’re left with a sensational feeling after your vaping session.